TomTom's anticipated GPS Car Kit for the iPhone was briefly available for preorder via the online Apple Store in Europe Thursday, with a listing that suggested the software may not work with the iPod touch or first-generation iPhone. Priced at 99.95 ($147.52 U.S.) for Europe and £99.95 ($162.20 U.S.) for the U.K., the TomTom Car Kit preorder was listed as shipping in two to three weeks. The description also said the included TomTom application is only compatible with the iPhone 3GS and iPhone 3G. "Note: The Car Kit dock is compatible with all iPhone models, but the Car Kit app only works with iPhone 3GS and iPhone 3G," the Apple Store U.K. said. The price is roughly the same as the one first listed by a reseller months ago. The TomTom application was released in August. Maps for the U.S. and Canada are priced at $99.99 U.S., while maps of the U.K. and Ireland have a standalone price of £59.99. Those who buy the car kit, though, will have the software included in the bundle. The software works with the iPhone 3G and iPhone 3GS, which include an integrated GPS receiver. It was previously suggested that the software would also work with the first-generation iPhone and the iPod touch via the hardware kit, which includes an external GPS receiver. The Apple Store page said the device offers volume control, portrait and landscape mode, windscreen and dashboard mounting, and iPhone charging via CLA. The system requires iPhone OS 3.0 or later, 1.2 GB of free memory, and iTunes on the desktop. Secure docking: TomTom's specially designed, award-winning EasyPort mount attaches your iPhone securely to your windscreen or dashboardperfectly within reach. It lets you rotate the screen for widescreen route display. And it folds flat for easy moves from car to car. 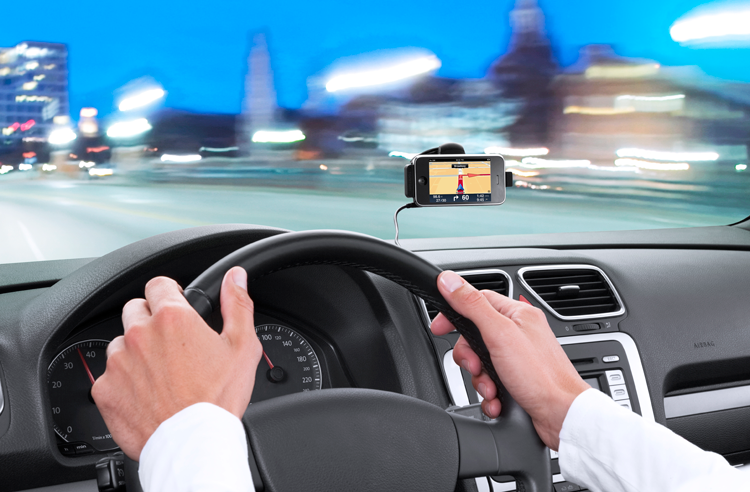 Enhanced GPS performance: The TomTom car kit's built-in receiver increases the GPS performance of your iPhone to give you a truly reliable signaleven in high-rise urban areas. Clear voice instructions: With the built-in volume controls and superior speaker, you'll hear every voice instruction loud and clearso you'll never miss a thing. Easy charging: Dock your iPhone 3GS in the mount to charge it as you drive, so it's always fully charged and ready to go. Hands-free calling: Receive calls without taking your eyes off the road, using the built-in extra-sensitive microphone and speaker. And the app automatically starts navigating again as soon as the call ends. Your music on the move: With the audio out connector you can play all your favourite songs through your car's audio system with the optional audio cable. It even fades music out when receiving calls and giving directions. The TomTom Car Kit was originally due to be released over the summer, but was delayed until October. The company said it was taking the extra time "in order to deliver the highest quality on this innovative product." 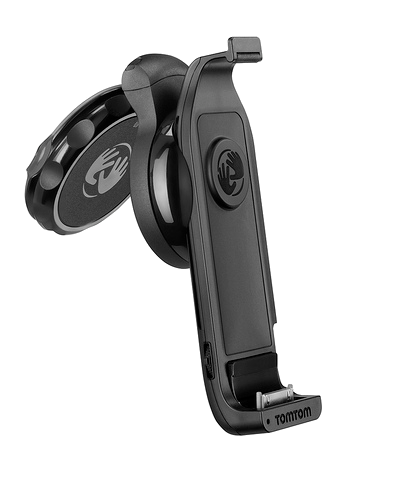 The TomTom iPhone mount will boost the device's GPS reception.